Albania has opened to the public for the first time a huge secret bunker that the communist regime built in 1970’s to survive a nuclear bomb. Then dictator Enver Hoxha wanted the bunker near the capital Tirana to guard against Soviet Union or US attacks. 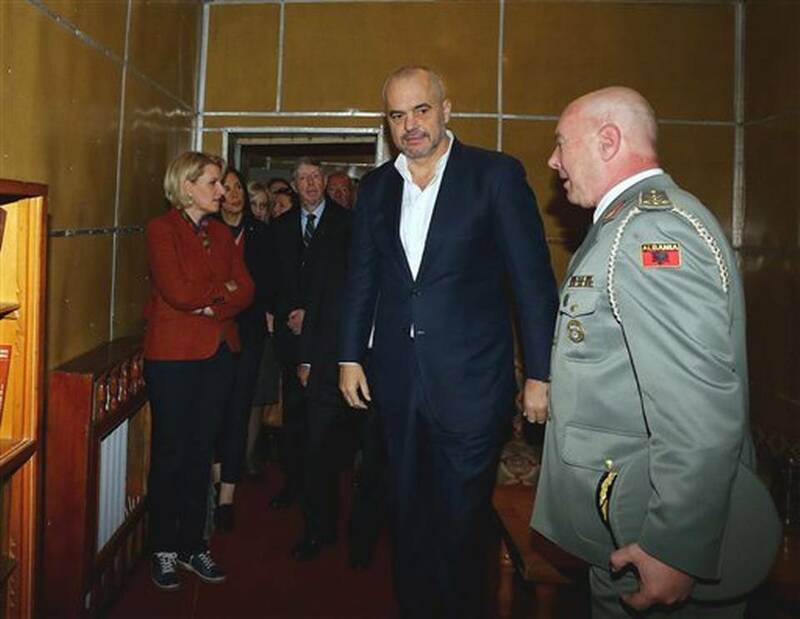 PM Edi Rama showed several Western ambassadors around the 106-room, five-storey complex on November 22. Enver Hoxha’s regime built up to 700,000 bunkers before he died in 1985. The pro-Chinese regime was toppled in 1990. “We have opened today a thesaurus of the collective memory that presents thousands of pieces of the sad events and life under communism,” Edi Rama said in a speech in the bunker’s 200-seat hall. The bunker has been opened to the public ahead of Albania’s World War Two liberation day on November 29. The government plans to use it as a tourist attraction and an exhibition space for artists.